"This is a standard raw tuna (poke) salad served in most Hawaiian homes. Although unconventional, it is sure to please the more adventurous seafood lovers. Be sure to use fresh tuna for the very best flavor, although fresh frozen tuna will produce acceptable results." 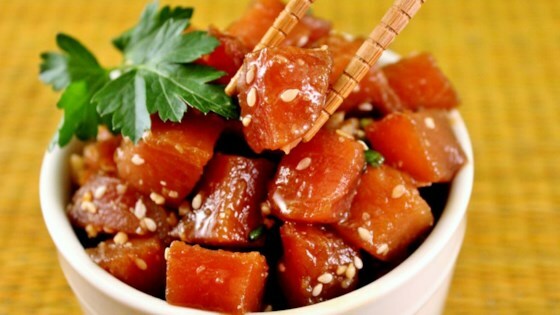 Poke is protein power packed with flavor! Using fresh ahi this is great.